Welcome back to the second post of my wedding beauty prep series – today, we are going to talk about bodycare. To be honest, I haven’t got a huge routine on this, but I have been absolutely loving the products that I’ve been using so far. I’ll start off with the body wash that I’m currently obsessed with – the VOYA True Tranquil Relaxing Body Wash. Every time I used it, it makes me feel like I’m visited a spa, it’s got such a relaxing scent and instantly makes me feel super chilled. It lathers up well, cleanses my skin and leaves it feeling soft and smooth after each use. Depending on the day, the next step after showering/bathing will be applying body moisturiser. If I’m fake tanning, then I only use cream on the drier parts of my skin like my elbows, my knees and the backs of my ankles. 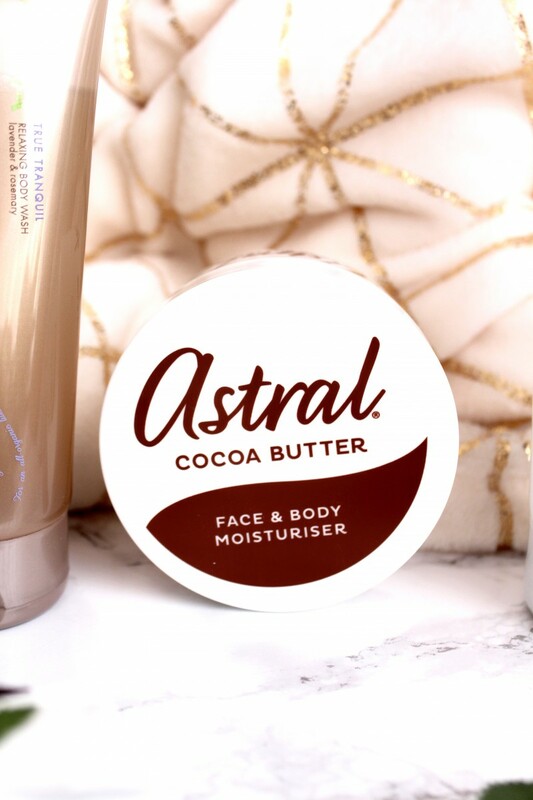 I love love love, the Astral Cocoa Butter Face and Body Moisturiser. It’s the perfect hydration booster after a shower and feels so lovely on the skin. 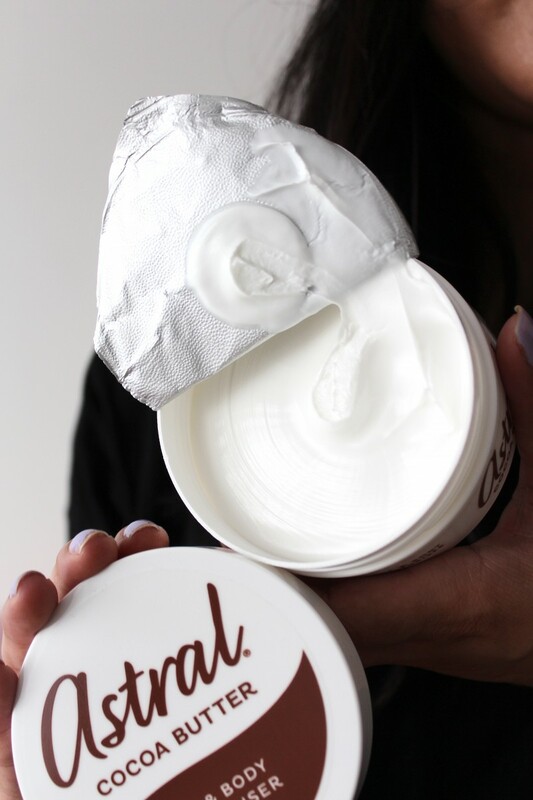 It’s got a rich texture, yet feels lightweight on the skin and the best thing about it is - it smells incredible! 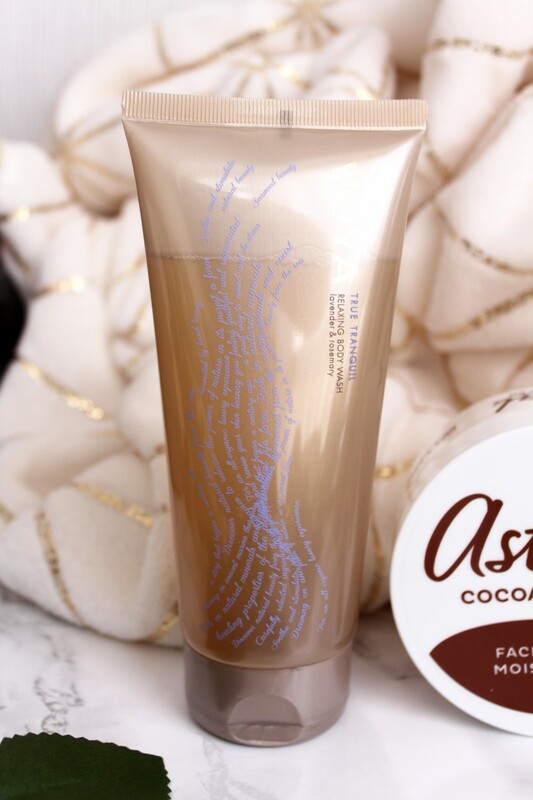 I have always loved cocoa butter and it was just a natural thing to love this body cream. Lastly, fake tan can be hit or miss with me, especially this is going to be for my wedding, so I must get it right. Luckily, over the months, I have trialled several brands and managed to find one that I adore and most recently, another one that adds that extra bit of oomph without being too much. 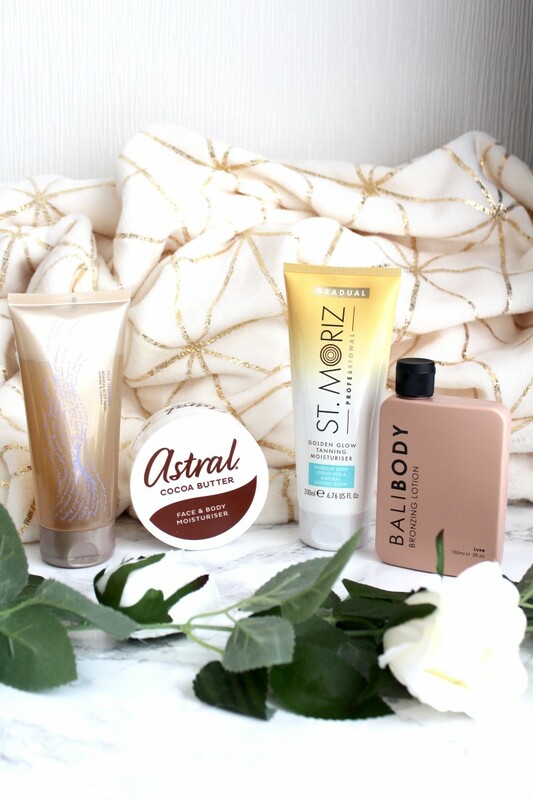 Step forward St Moriz Golden Glow Tanning Moisturiser and my new fave, Bali Body Bronzing Lotion. 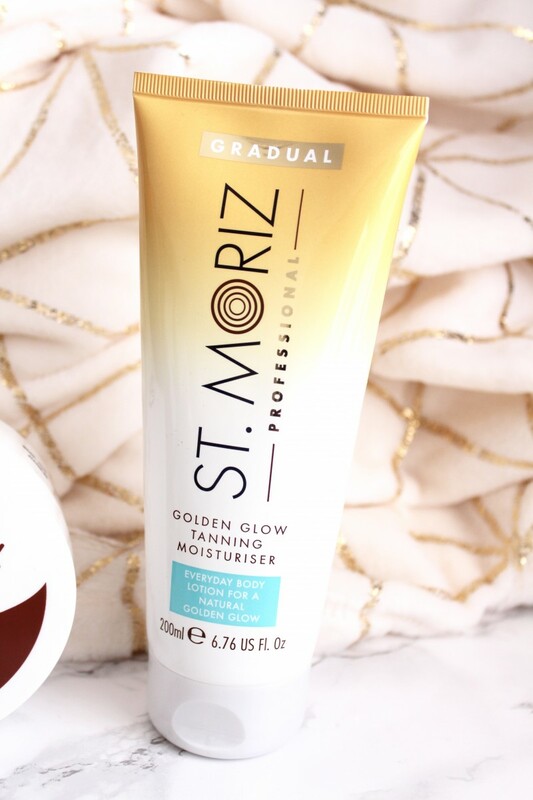 St Moriz’s Golden Glow is a gradual tanning cream which allows the tan to build up over time, so it’s great for a subtle glow. I always apply a tiny bit of body moisturiser (Astral of course) on my elbows, knees and ankles to ensure the tan doesn’t congregate in one area and look patchy. I then use a mitt to apply the tan all over and allow it to develop overnight. The subtle glow I get the next day is what I love about gradual tanners and it will be used a couple days before the wedding for sure. 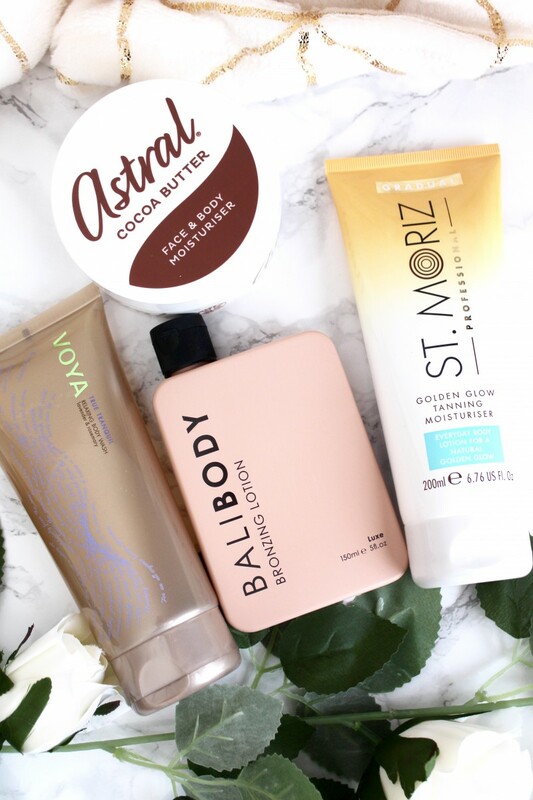 Bali Body’s Bronzing Lotion is a nice little addition to an existing tan and/or even non-tanned skin as it gives a lovely hint of colour. Enriched with Vitamin E and natural oils, not only does it give a sun-kissed look, it also provides enough moisture to keep the skin feeling soft and smooth for my big day. A little does go a long with this beauty and it lasts all day too which is fab. There isn’t a particular scent to this lotion which means it won’t clash with my wedding perfume, I mean, there’s not much more to say, other than, it will be perfect for my special day. What are you currently using in your bodycare routine?